Here is a bizarre image from Sunday's Panthers-Redskins game. 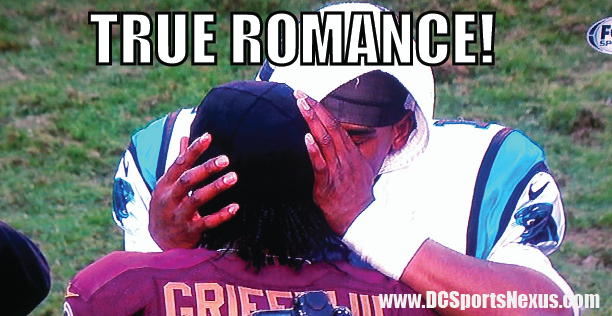 It is Cam Newton having a few words with RG3 after the game...or they are making out...You make the call! Check out this clip of Terry Bradshaw in the pre-game saying that he wants to see RG3 and Cam Newton hook up. Sure enough, Terry got his wish!